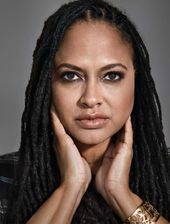 Before becoming a filmmaker, Ava DuVernay opened her own public relations firm for the entertainment industry. She then started AFFRM in 2010, which later became ARRAY, to distribute film by under-represented filmmakers. In 2011, DuVernay directed her first two feature films I Will Follow and Middle of Nowhere, which won her best director at Sundance. She received further acclaim for Selma and the documentary 13th. DuVernay became the first woman of color to direct a $100 million-budgeted film with A Wrinkle in Time.